The Tangerine 335 by Pulaski Furniture bedroom collection combines design and functionality at an affordable price to give you all you'll ever need in your bedroom furniture. Each piece has features designed to appeal to the gadget loving generation with charging stations, media accessability and practical work surfaces. 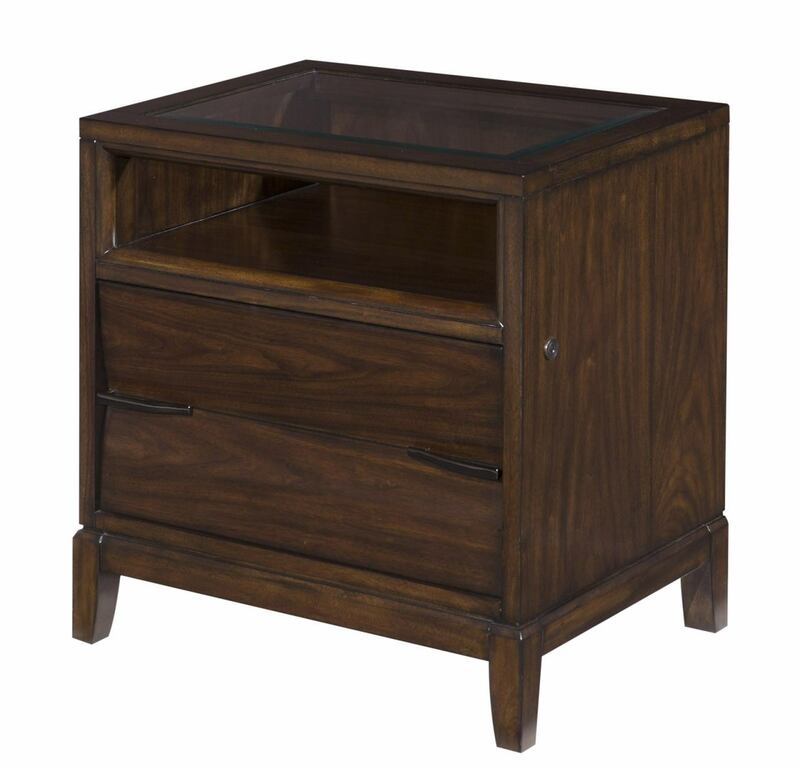 Crafted with stunning walnut veneers, it features smokey nickel hardware placed unexpectedly on beveled drawer fronts for an avant-garde look. Have all of the features you need stored away in a clean and compact design so only you know it's there. Go ahead and relax in the bedroom you have always dreamed of!